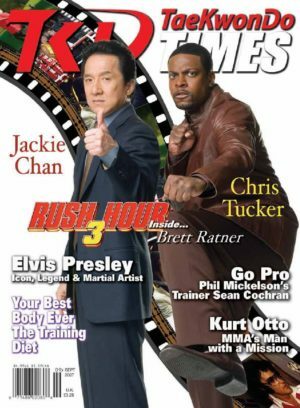 Robert Cutrell – Coffman’s Martial Arts Academy: “Stretching the Limits” in Illinois! Rigorous tests including straddle splits characterize this Illinois school. Traditional types of Yoga can enrich the martial artist’s life by deepening spiritual and mental capacity. 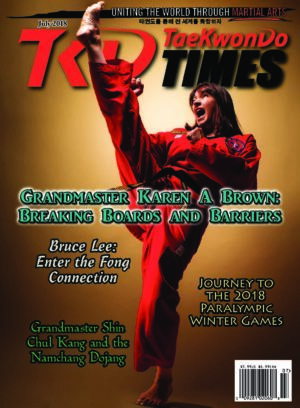 Changes to poomsae are expected to go into effect this year. 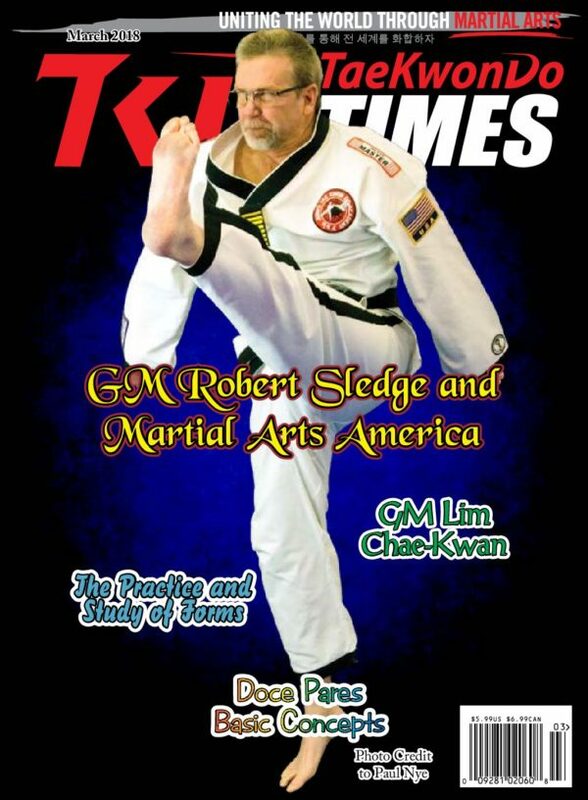 Grandmaster Robert Sledge takes the reins of Martial Arts America and continues its traditional instruction. This article introduces bowing in/out, grip, ready position, chambers and range concepts in CDP. GM Kwan’s goal is to unify Hapkido technology by returning to the teachings of Choi Young-Sul. 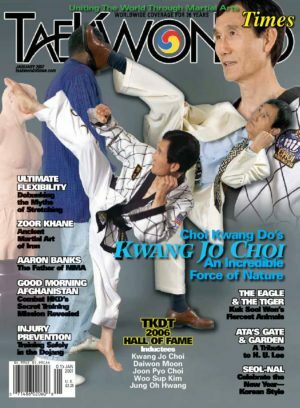 Training in Tae Kwon Do has allowed this sextuagenarian to overcome physical and mental barriers. Jane Kim brings her acting skills and her Tae Kwon Do black belt to bear in her portrayal of the Bride of Nine Spiders. Dario Arnese – Are You a Good Instructor? 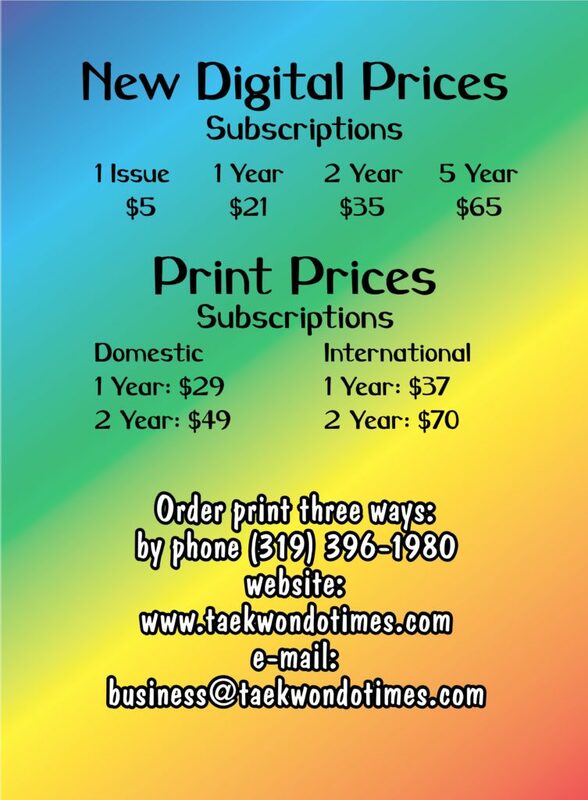 A good instructor attracts students, caters to their needs, understands learning styles and has good class structure.